Quizzes have been a hot topic lately and for good reason. They are fun to both make and take, while adding a layer of interactivity to a website. The way many are currently using them is for an email opt-in (like the one currently at the top of this page), but there are a lot of unique ways you can use them to enhance your design business apart from collecting email addresses. 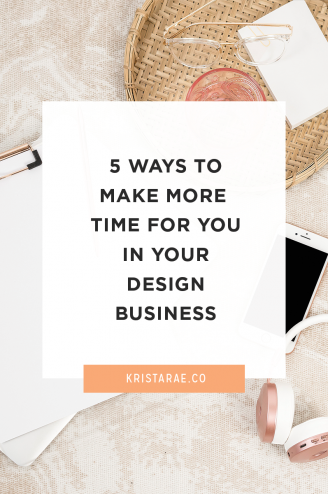 With that being said, today we’ll go over 4 fun ways to use quizzes in your design business and talk about my favorite tool for making it happen! 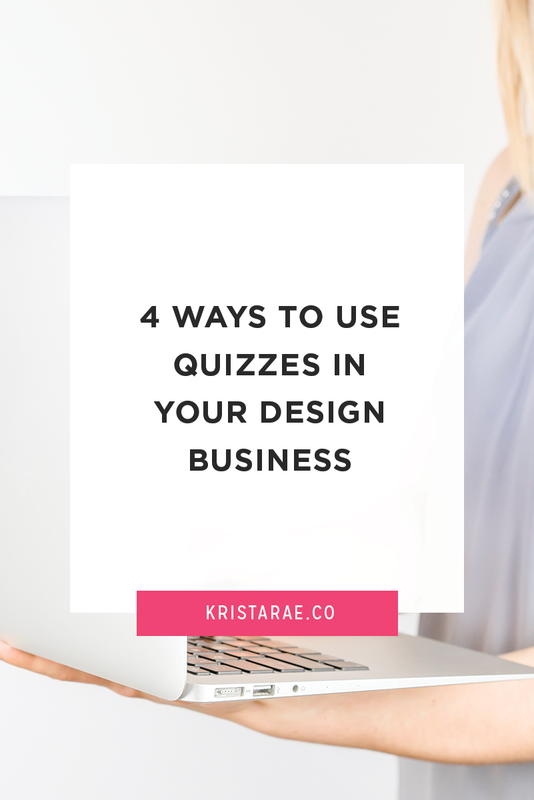 This first way you can use quizzes in your design business is specifically for those of you who either sell your own website templates or have a few that you highly recommend to your clients. If you run a theme shop, potential customers will come to your site wondering which theme is the best for them. A quiz is the perfect way to help them out, while getting them excited about your shop at the same time! 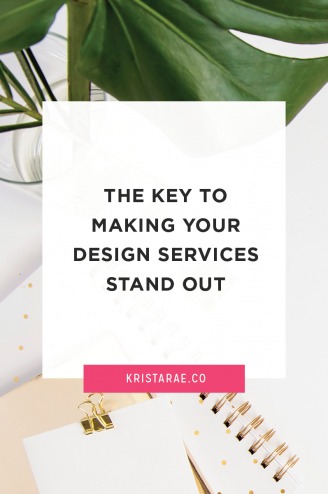 This second option is perfect if you offer a few different levels of design services and have clients come to you unsure of which option is the best fit for them. Create a quiz that leads them to one of your services and explains why it’s the perfect fit. You can even have them opt-in to get the results and integrate the quiz with your email marketing platform to either enter them into a funnel or send them more information on booking the service they landed on. Our third option is to use quizzes as a unique approach to your onboarding process. You could go all kinds of directions here. Anything from learning more about what they like and dislike, finding out what they really need in a website, learning about their goals, and more. 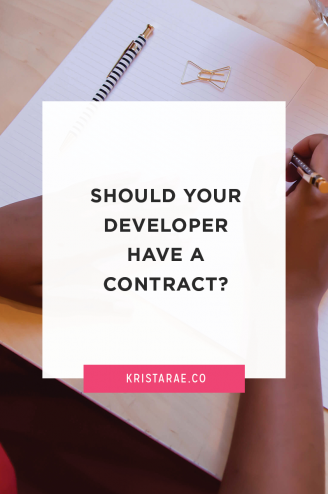 Make it a fun experience that will get them excited for the next steps while giving you valuable pieces of information you can use throughout the project. And last is to offer creating and integrating a quiz as a part of your website design packages. Many clients are looking for ways to make their website interactive or add a unique touch. Offering up the idea of incorporating a quiz (whether you do it for them or have them create it themselves) is a perfect option! Once you decide how you want to use a quiz in your business comes the not-so-fun part…finding the right tool. I spent countless hours installing and trying out different plugins, searching Google for different pieces of software, and asking for recommendations. Finally I found one that I’m a huuuge fan of – Interact! Different types of quizzes – This is something you won’t consider before going in to create your quiz, but there are a variety of ways you might actually want your quiz to work. For example, you may want each answer to correspond to a specific result or a number of “points”. A lot of platforms I tried out only did one or the other, but Interact currently allows for 3 different types of quizzes. Email list integration – Something else I love is the fact that Interact integrates with most of the popular email marketing platforms. 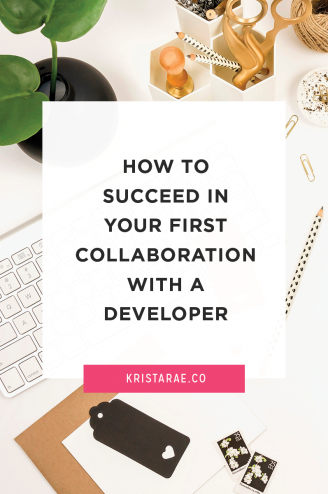 Let me tell you, it was a struggle for me to find something that integrated seamlessly with ConvertKit so I definitely did a happy dance when I saw it was built-in to Interact. Better yet, you can tag subscribers with their specific quiz result and send them down custom funnels based on that! So. Easy. – I could go on-and-on, but the last thing I’ll say here is that it’s soooo nice and easy to use. I never found myself wondering how to make something work. The platform is intuitive and everything just works like it’s supposed to. If you’re thinking about adding a quiz or two to your design business, definitely give Interact a try. There’s even a free plan to get you started! And if you’re looking for an example, you can take my quiz below!